Your reward is the scenery. Alaska is different than anywhere I’ve been for a number of reasons, but something that really struck me was the waterfalls. 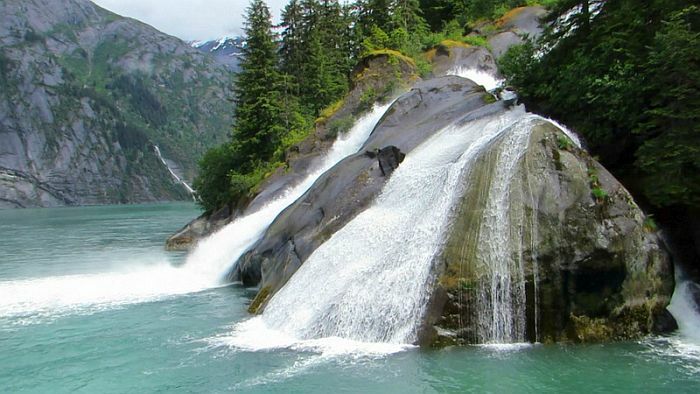 Alaska is a land of waterfalls. For most folks a trip to Alaska means a cruise, I sailed on Carnival Legend, but it’s not your typical cruise. Instead of warm, sunny beaches, you’ll get freezing but stunning waterfalls. And yes, you’ll get snow and ice and glaciers. This is Tracy Arm Fjord boasts sheer cliff walls in some cases more than a mile high frame iceberg filled water. And what you see of the icebergs amounts to only about 10 percent. 90% is below the surface of the water. 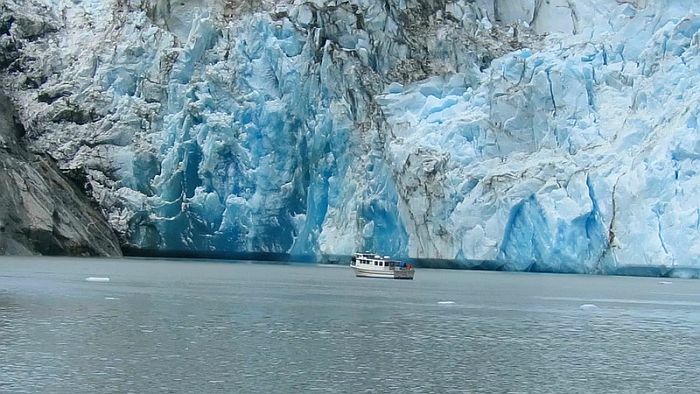 The big cruise ships can navigate pretty well here, but I wanted an up close view, so I took a small boat excursion deeper into Tracy Arm Fjord. Getting close increases your odds of spotting wildlife like bears. As long we didn’t interrupt breakfast, these guys could have cared less if we were around. Black and brown bears can be tough to spot, they are out there, but they tend to blend, making them hard to see. We lucked out that these guys were co close to shore. 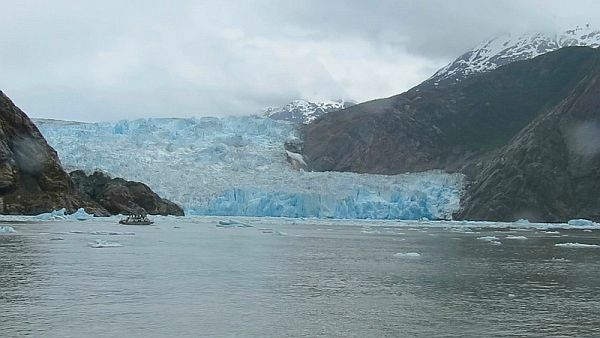 Tracy Arm Fjord is home to two glaciers. South Sawyer Glacier runs about ¾ of a mile side to side and goes about 22 miles back. 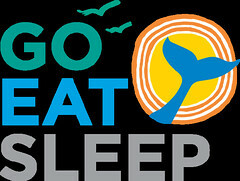 The area is a favorite for harbor seals, especially in June when it’s pupping season. 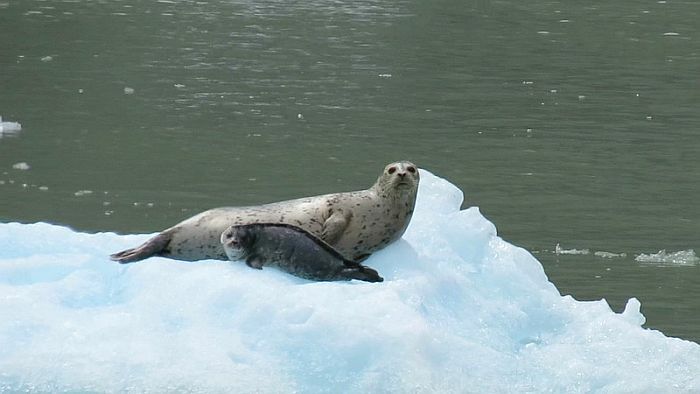 The seals haul out on the ice to rest, give birth, nurse their young and avoid orca attacks. Orca sonar has trouble distinguishing between ice and seals, so hunting around glaciers isn’t effective, so the ice essentially provides a safe resting space and the seals take advantage. They were everywhere the day of my visit, many with new pups. Sawyer Glacier, to the north is a bit smaller, about a half mile side to side, reaching 10 miles back. Still impressive and worth the trip, but it doesn’t quite get as much attention. 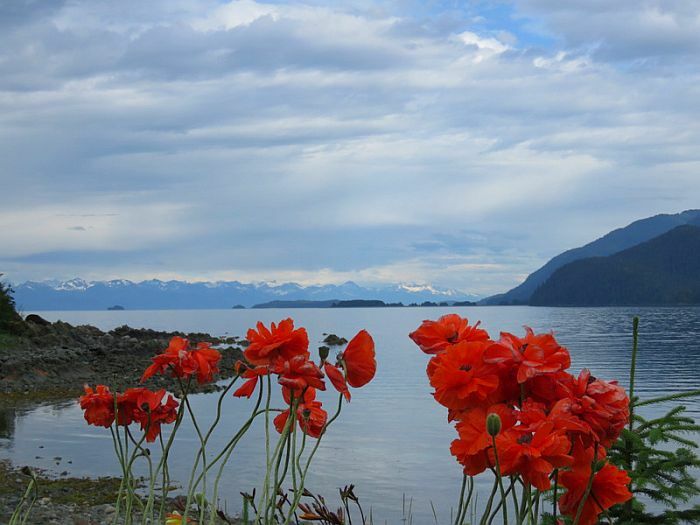 Tracy Arm Fjord is just one location, but the amazing scenery and wildlife interaction opportunities carry throughout numerous Alaska ports and stops. 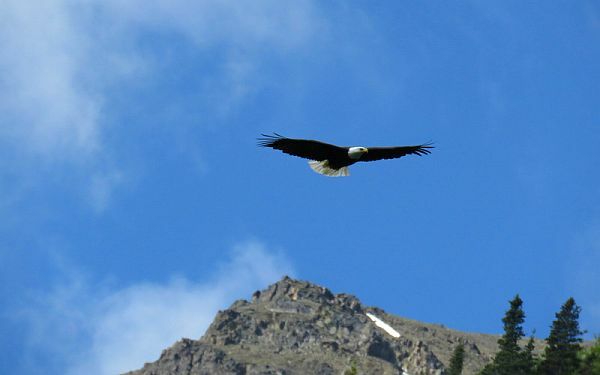 In Juneau, bald eagles seem to be everywhere. I’d say folks in Juneau are lucky and spoiled at the same time. When you visit, always remember to look up. They perch on random roof tops. When Carnival Legend pulled into port in Juneau, dozens of bald eagles were scattered in the trees. Bald eagles are one of the few animals that’s recovered and been taken off the federal list of threatened and endangered species. 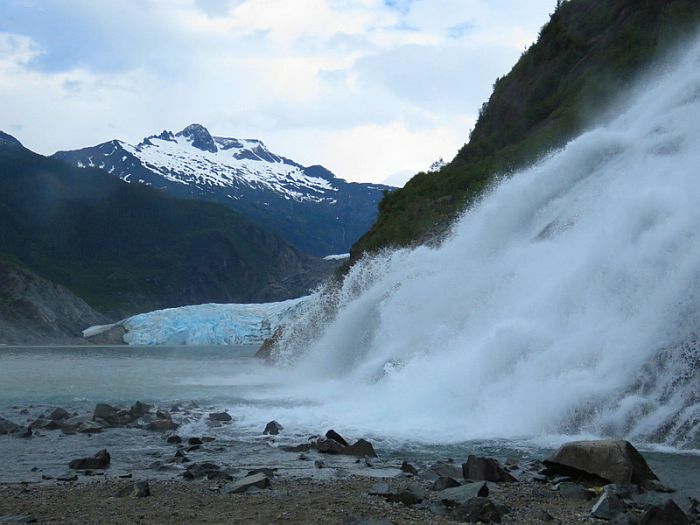 While you are on eagle lookout, be sure to make your way to Mendenhall Glacier. Whether you go an excursion from the ship or rent a car, it’s worth the trip. Mendenhall Glacier is an impressive 13 miles long, but it’s so easily accessible simply viewing it from the parking lot or hiking one of the many trails. I did the Nugget Falls trail with my family. (It’s about two miles round trip, but there’s lots to see so don’t be in a rush.) It takes right up to the falls and the surrounding beach. I did it with my family first thing in the morning, and we had the place to ourselves almost the entire time. Dana and her family were guest aboard Carnival Legend, but as always Dana’s thoughts and opinions are her own.